I have been coming to Maui since I was 14 years old. 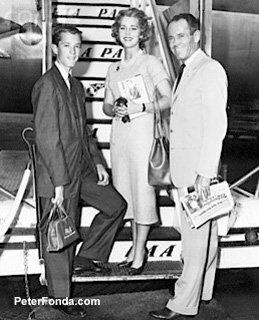 My father, Henry Fonda, brought my sister, Jane, and I with him when he filmed Mr. Roberts in 1954. We stayed at the Halekulani Hotel which was once a private residence. It was then turned into a hotel. The Surfrider, The Royal Hawaiian, and the Halekulani Hotel were the only three hotels on Waikiki Beach in 1954. The Outrigger Canoe Club was right next to The Royal Hawaiian. I learned to surf in the Queens Surf on a thick hollow paddle board by an instructor named Panama. Panama was one of the Waikiki Beach Boys. Blau James, Don Ho (the singer) were among others. They called me “toothpick” because I was so skinny. Da Boyz made sure I had ate well and had plenty of surf while my father was filming. I strung leis for extra money. Each lei earned me 5 cents. 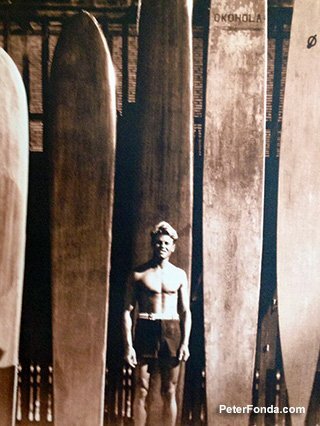 I met surfing’s number one ambassador to the world; Duke Kahanamoku. Thrilling moments for me! One day, I was invited to go for a flight in a passenger plane to another island, Maui. It was still very primitive back then. The only way into Lahaina was by the old highway. Today you can still see stacks of black volcanic rocks which was once the main road between Kahalui and Lahaina. The first time I saw Lahaina, I fell in love. It captured the ambiance of the whaling days and the plantation era. Old Hawaiiana days. I returned again in 1965 with my best friend, Stormy Mcdonald. A great deal had changed in 11 years. 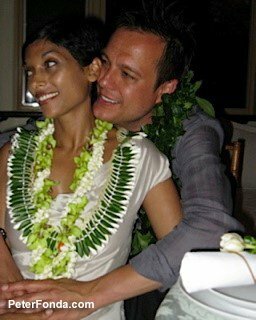 We stayed at the Pioneer Inn in Lahaina which later would have an even greater meaning to me when I stayed there with Parky on our first night together. We walked around Front Street listening to music and drank exotic drinks in little bars along the wharf. Typical tourists. The sun and the surf were our gods. Stormy was as close a friend to me as any friend I have ever had in my life. In a way, he gave me back my youth after my mother died in 1950 when I was 10 years old. You see, I was always trying to act older, to try and fit in, and to seem cool, after so much tragedy had happened in my family. Life. Survival skills I suppose. I returned to Maui as often as possible between films. 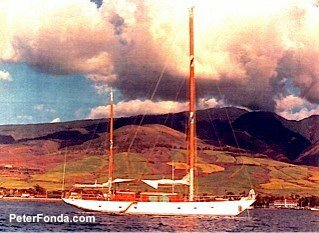 In December of 1969, I decided I wanted to live aboard a yatch off of Lahaina. I bought an 82 ft. ketch named Tatoosh in Seattle and sailed her to Los Angeles to be properly provisioned. Some interior changes were also made by Maj Hagman, Larry’s wife, for the sail to Maui from Marina Del Rey. I sailed in late March to Catalina. There I picked up a crew member in Cat Harbor and sailed on the next day to Maui. The sail was 12 glorious days I will never forget. When we sailed into Lahaina just after sunrise, there was a surprise waiting for me and my crew. Let’s just say this was not the home coming I fantasized about for 12 days; Hawaiian bare breasted women in dugout canoes laden with tropical flowers calling on our ship. Fourteen Federal agents and a large number of local narcotic agents were lying in wait down at the harbor. Planes flew overhead dropping bottles to me with notes from my attorneys telling me to call them ASAP. They claimed I had $250,000 worth of cocaine and “radical” machine guns on board. All false rumors. My attorneys, Morse Taylor, Arthur Berman, and my step brother, Bill Hayward, advised us on how to handle the boarding of Tatoosh. The crazed landfall turned into a plume of smoke some hours later and all was well. From then on, Tatoosh and Lahaina, Maui became my home. In the summer of 1974, I met my wife, Parky, quite by chance, in the door way of a restaurant which is now Longhi’s. She was on vacation from UCSB and I had just returned from filming Open Season in Madrid, Spain. Her beautiful sea green eyes met mine and everything disappeared but her. I fell on the floor in a pratfall. I had never done that before. Well, maybe while playing cops and robbers. I was smitten! I invited her out to Tatoosh for water sports the next afternoon. The rest was history. Parky and I fell madly in love. Our first night was spent in the Pioneer Inn with a ceiling fan whirling above us. It could have been 1904 for all we knew as we both felt transported. The summer of ’74 was magical! My children, Bridget and Justin, then 8 and 10 yrs. old, joined me when they could, the yatch races and water balloon wars off the Lahaina Yatch Club, diving with David Crosby off of Lanai thorough lava tubes, hanging out with the coral divers who dove 330ft down in a trench off of Lanai, sailing around the islands with my crew and just hanging out in the tropics totally free and happy aboard Tatoosh. Regretfully, Parky and I were not to be married for 37 years after we met that summer of ’74. Parky, who was 20 yrs. old when we met, finished her education and married and had two children. I married for the second time and moved to Montana to live on a ranch between making films. Although my life in Montana with my wife and family was rewarding, my time living aboard Tatoosh became less and less. I sold Tatoosh in 1985. It was a life changing decision and I was heartbroken. 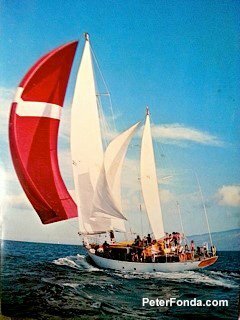 The freedom I once had on the ocean in the tropics of Maui aboard Tatoosh had vanished over the horizon. Quite by chance, Parky and I met again in Los Angeles where she was living with her family. Life has amazing twists and turns, and if you are as lucky, as we are, love comes full circle. In 2006, we both realized that the love we had for one another was definitely worth fighting for. 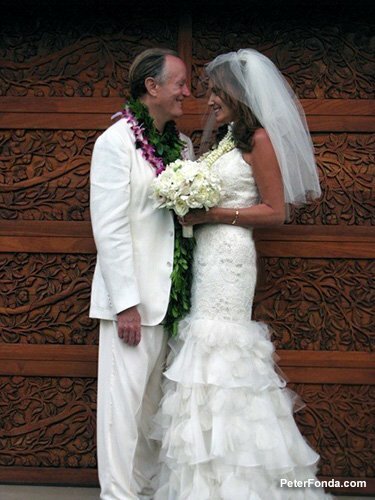 Parky and I married on June 19th, 2011 at the Paul Mitchell Estate in Lanikai, Oahu. Angus Mitchell, Paul’s son, and his wife Michelle, gave us our wedding as a wedding present. Angus was my best man. Parky’s son, Wills, escorted her down the aisle, her daughter, Lexi, was her maiden of honor, her best friend, Faye Parker( whom ironically I met in 1954), was her matron of honor. Patrizia Boschetti, a dear friend of Parky’s was there as well. Peter’s crew mates and lifelong friends, David Hudsen and Bob and Debbie Eichelberger, were all in attendance. We had a Hawaiian minister perform the ceremony. Our friend, Barry Flanagan, of Hapa played throughout the service and during the reception. After the priest announced we were man and wife, a rainbow appeared in the horizon. The priest announced that our fathers were here. It was Father’s Day. Tears of joy and happiness surrounded our union that evening at sunset. At long last, we were married. Los Angeles is home for now as acting and directing films is still a lifelong passion. Enjoy the photos and I’ll update you on all of our future adventures on Maui and around the world.